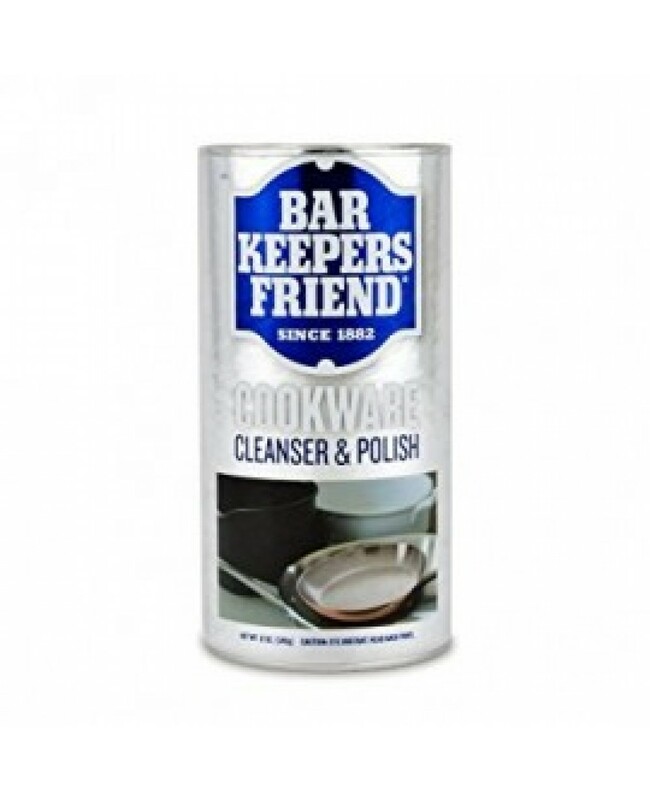 Bar Keepers Friend Cookware Cleanser & Polish Is A Specially Formulated Non Abrasive Formula To Efficiently & Effectively Get Rid Of All Dirt & Food Stains, On A Variety Of Surfaces Such As Copper, Stainless Steel, Porcelain, Ceramic & More. Try Today And See Visible Improvements! Power Cleanser To Restore Stainless Steel Cookware Like-New. Effectively & Efficiently Removes Food Stains! ideal For Cleaning: Ceramic, Copper, Porcelain, & More. Non Abrasive Formula Designed For Copper & Stainless Steel Cookware. Always Pre-Test On An Inconspicuous Area! UNSUITABLE FOR USE ON: ANY SURFACE THAT CANNOT BE RINSED WELL, GOLD, SILVER, POLISHED STONE, SURFACES THAT ARE LACQUERED, PAINTED OR MIRRORED! 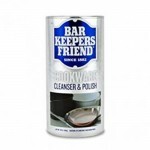 "Bar Keepers Friend Cookware Cleanser & Polish 12oz (340g) x 12"